WASHINGTON, D.C. — In a media release Wednesday, the Coalition to Stop Gun Violence (CSGV) praised the confirmation of B. Todd Jones as director of the Bureau of Alcohol, Tobacco, Firearms and Explosives (ATF). The U.S. Senate voted 60-40 to invoke cloture clearing the way for a confirmation vote. The final vote was 53-42, with Sen. Mark Kirk (R-IL) the lone Republican voting to confirm. Senators Blunt (R-O), Harkin (D-IA), Inhofe (R-OK), Landrieu (D-LA) and McCain (R-AZ) did not vote. “The votes to confirm were good news for the agency, which will now have the permanent leadership it desperately needs. It’s also good news for the American people, who depend on the ATF to work with state and local law enforcement officials to enforce our nation’s gun laws and prevent violent crime,” the statement read. The ATF had been without a permanent director for seven years largely due to opposition by the National Rifle Association (NRA). The NRA took a neutral position on this week’s vote. Jones was nominated by President Obama in January in the wake of the mass shooting at the Sandy Hook Elementary School in Newtown Conn. In December 2012. Prior to his confirmation, Jones served as the acting ATF director since being appointed to the post on Aug. 31, 2011 by Attorney General Eric Holder. While serving as the acting director of ATF, Jones was also the United States Attorney for the District of Minnesota, a post he held since Aug. 2009. 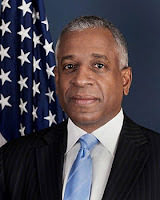 Jones served as both ATF Acting Director and U.S. Attorney until his confirmation as ATF Director. CSGV credited grassroots activism for better gun laws for paved the way for Jones to be confirmed.